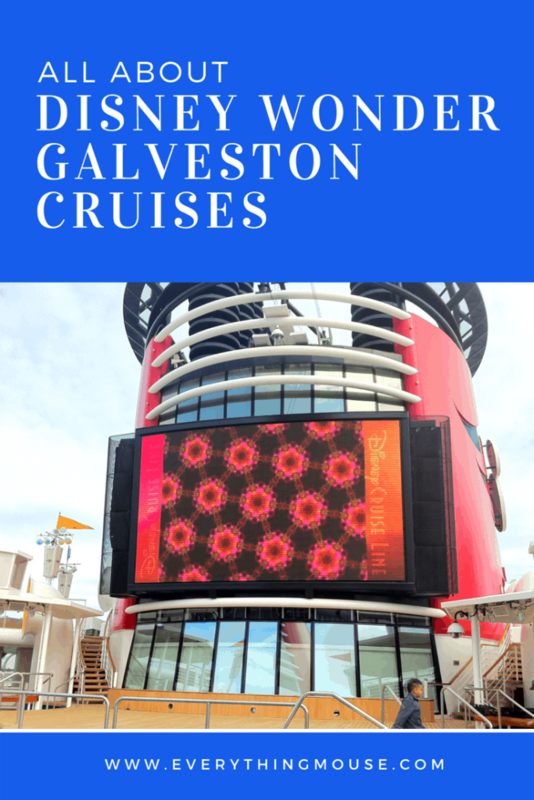 Want to know more about a Disney Cruise from Galveston? 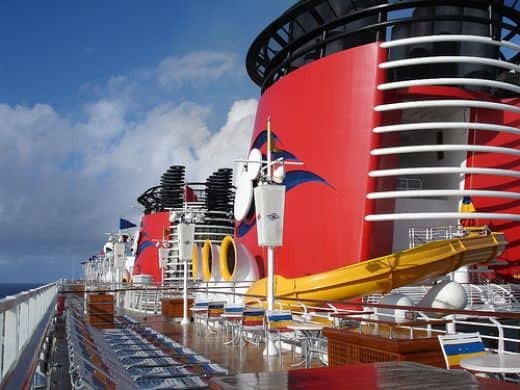 If you are looking for a family cruise from Galveston, Disney Cruise lines is a great choice! The Disney Wonder is offering a number of sailings for 2018, 2019 and 2020 from the port of Galveston Texas. The Disney Wonder will sail from Galveston on cruises to the Caribbean and the Bahamas on select dates. Disney cruises from Galveston Texas are primarily for 7 night round trip Bahamian and Caribbean cruises. However, there are some shorter cruises and a cruise to San Juan to choose from. The most popular of the Galveston cruises on the Disney Wonder are the 7 night round trip sailings. The Bahamian Disney cruises from Galveston have a port stop at Castaway Cay. The Western Caribbean cruises do not have a port stop at Castaway Cay. If a port stop at Castaway Cay is important to you then your only option from Galveston is a 7 night cruise to the Bahamas on the Disney Wonder. This 7 night family cruise from Galveston sailing is set for November 30th 2018 and December 20th 2019. This means that December dates for the Disney Wonder in Galveston is a Christmas cruises. Disney’s Very Merry Christmas themed cruises offer special Holiday events. 2018 sailings are on November 16th and 23rd, December 7th, 14th and 27th. 2019 sailings are on November 22nd and 29th, and December 27th. 2019 Sail Dates are January 9th, December 12th and 16th. The Disney Wonder will reposition to San Juan from Galveston in 2019. These repositioning cruises can be a good chance to get a lower per night rate than many Disney cruises. Disney Cruise lines has only announced sailings from January until May 2020. The Disney Cruises from Galveston all sail in January 2020. We would expect that there will also be sailings from Galveston on the Disney Wonder in Winter of 2020. The Disney Cruise Galveston sails on January 9th 2020. What does a Disney Cruise from Galveston cost? There are a lot of factors to consider here. The date and the type of stateroom you choose will determine what the price is. Also it is usually best to book a Disney cruise as far ahead as possible as usually the prices go up. It is rare that there are any last minute discounts on Disney cruises. However, they do happen. In the past the Disney Cruises from Galveston have sometimes been offered at a last minute discount. Here is a sample of some Disney Cruise Galveston prices. These are for 2 guests and are correct in October 2018..
A 4-Night Very Merrytime Western Caribbean Cruise from Galveston on November 12 2018 starts at $2215 for an Inside Stateroom, $2140 for an Outside and $2575 for a Verandah. 4-Night Very Merrytime Western Caribbean Cruise from Galveston sailing on December 16 2019 starts at $1956 for an Inside Stateroom, $2367 for an Outside and $2444 for a Verandah. If you want to splurge on a Concierge Stateroom for this sailing these are still some staterooms available starting at $4552. A 6-Night Very Merrytime Western Caribbean Cruise from Galveston sailing on December 21 2018 starts at $4934 for an Outside and $6314 for a Verandah. There are no Inside staterooms available right now but if you want to sail Concierge you can for a cost of $15,795. This Disney cruise does sail over Christmas Day – that’s why the prices are what they are! A 6-Night Very Merrytime Western Caribbean Cruise from Galveston sailing on December 6 2019 starts at $2383 for an Inside, $2683 for an Outside and $3163 for a Verandah. If you want to sail Concierge you can for a cost of $6,343. A 7-Night Very Merrytime Bahamian from Galveston with 2 Stops at Castaway Cay sailing on December 6 2019 starts at $3858 for an Inside, $4502 for an Outside and $5328 for a Verandah. How much does a Disney Cruise from Galveston cost for a Concierge stateroom on this Very Merrytime cruise? Prices start at $9724. Remember to check prices on Disney Cruise Lines to see the current costs. Will you be sailing on a Disney cruise to Galveston?